I write this on Tuesday. On most Tuesdays, you will find me writing. Any blog post, newsletter, website copy, or Facebook ad copy you have read was most likely created on a Tuesday. That is because Tuesdays are for content creation. On many Fridays you can find me standing on a chair, surrounded by lighting, trying to capture the perfect #bookstagram image for the Kaye Publicity social platforms. Or, you may find me running back and forth from my tripod and camera to the vinyl background I’ve mounted across my wall, trying to get a non-awkward, natural looking self-portrait for Facebook ads. Wednesdays and Thursdays, it may be more difficult to track me down, as those are usually spent running from meeting to meeting, or having marathon video conferences. Days are themed and tasks are batched. And although it has taken a lot of practice and discipline, I have seen amazing results when it comes to productivity and accomplishing projects. 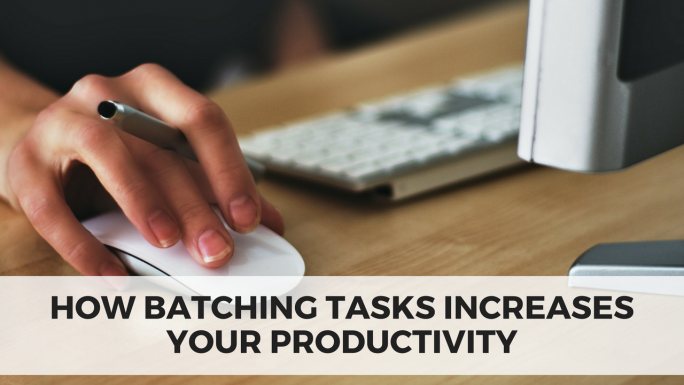 One of the biggest hurdles when it comes to maintaining focus and working efficiently is task switching. Every time you move from one task to another, it takes at least 20-40 seconds to reset and re-focus. The more often you switch from task to task, the more time is lost. In a recent study from the American Psychological Association, even these brief moments can eat up 40% of an individual’s productive time. That’s time that could be spent working towards your goals. 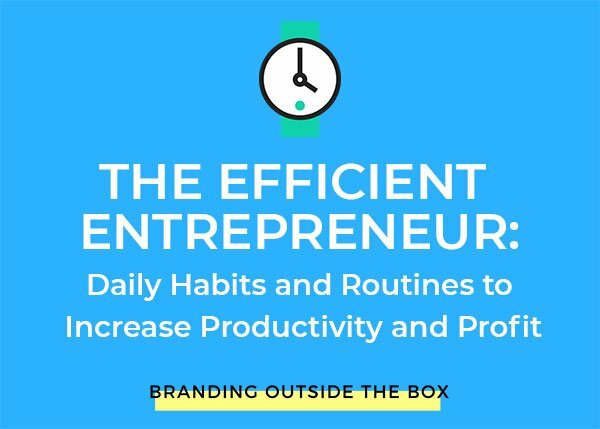 By creating all your social media content for the week in a single sitting, or writing all your blog posts and newsletters for the month on a single day, you reduce task switching, stay in the zone, and work more efficiently. I also find that I produce better quality content because I’m not distracted or rushed. I know many of you are thinking, “It must be nice to have this flexibility, but I’m not in control of my schedule.” If you work for other people, it can be difficult to theme every day and batch all your tasks. But just because you don’t have total control over your schedule doesn’t mean you can’t take some control. …never took meetings on Fridays? Or before 10:00am? …handled certain types of tasks at one time? Or only worked on one client at a time in one-hour blocks? …answered emails by client or subject rather than in the order of which they came in? In a previous post, I mentioned James Clear’s philosophy of striving to get 1% better each day. 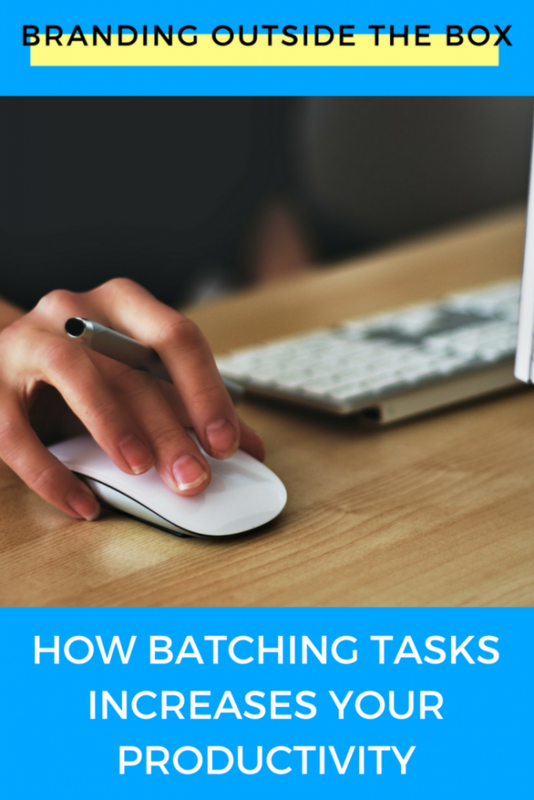 What if you could increase the amount of batched tasks by 1%? If you look at all your responsibilities, what is the 1% change you could make? To help you make this 1% change, I’m hosting a free webinar on Friday, May 11th at 3pm EST. I’ll show you how to schedule and organize your day to increase your productivity and complete more projects. I’ll also be sharing some free resources and bonuses for those who attend live, so mark your calendar and register now!